Uber Technologies Inc. suspended the testing of its self-driving cars in Tempe, Arizona, where the incident took place, and in other cities. So did Toyota Motor Corp., citing the emotional toll on the safety drivers who sit in the front seat and monitor for hazards. Meanwhile, Ford Motor Co., Nissan Motor Co. and Alphabet Inc.’s Waymo division kept testing. States also varied in their responses. While Arizona didn’t pause driverless car tests, Massachusetts quietly reached out to local companies and asked them to take a few days off the road, according to Karl Iagnemma, CEO of NuTonomy, a Boston-based subsidiary of auto-parts maker Aptiv Plc. 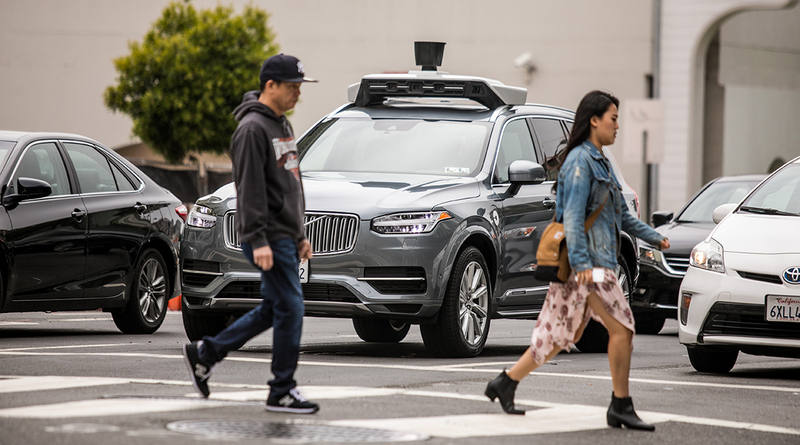 The autonomous car industry is still reeling from the accident, puzzling over the failure of an Uber SUV using Velodyne lidar to avoid a woman pushing a bicycle across the street and the apparent inability of the safety driver behind the wheel to react in time. But companies, tired of trying to conform to a patchwork of different laws, are also pointing to the range of official responses as more evidence of the lack of uniformity in driverless car regulations, as the technology continues to clearly outpace the rule of law. The current regulatory framework around autonomous vehicles is a checkerboard. More than 40 states have passed different rules around vehicle certification and testing. The technology, which promises to save millions of lives, confounds the old regulatory model, where federal agencies are responsible for carmakers and DMVs oversee drivers. The National Highway Traffic and Safety Administration, or NHTSA, supposedly has authority over the burgeoning driverless car space under the Motor Vehicle Safety Act, but so far it has deferred to the states. An accident like the one last week only exacerbates the confusion. For example, when the driver of a Tesla Inc. Model S electric sedan was killed in 2016 while his car was in Autopilot mode, both NHTSA and the National Transportation Safety Board released reports drawing different conclusions. NHTSA cleared Tesla of any fault; the NTSB said the design of Tesla’s driver-assist mode permitted a person’s overreliance on automation. There’s currently a bill on Capitol Hill that could help to clear up the mess. The so-called Self Drive Act passed the House last year while its companion bill, the AV Start Act, cleared the Senate Commerce Committee and is awaiting consideration by the full Senate. Here’s a good rundown of the bills and their differences, but the main point is that they clarify the role of federal and state regulation and establish NHTSA as the preeminent regulating body. One thing they might look at adding to the bill after the crash is increasing the safety requirements for conducting public tests. As the New York Times reported on March 23, Uber has been struggling to get its robot cars to drive 13 miles without the need for driver intervention, according to internal documents obtained by the paper. Waymo cars, on the other hand, went an average 5,600 miles before drivers needed to take the wheel. Waymo’s CEO boasted in a speech on March 24 that Alphabet’s technology is “robust enough” to avoid the kind of incident in which Uber was involved. Frederick Hill, communications director of the Senate Commerce Committee, told me he believes the bill will get 85 votes—a strong bipartisan majority—when it comes up for a vote in the Senate. He added that he’s not aware of anyone who might have switched their vote after the incident last week. But let’s face it: The Uber accident won’t help matters, and it probably will increase public doubts and anxiety about driverless cars. Critics are telling the industry to slow down or abolish public testing altogether. That’s a shame, because like a lot of tech right now, the self-driving car industry needs the guiding hand of regulation to quell the storm and fulfill its original promises.